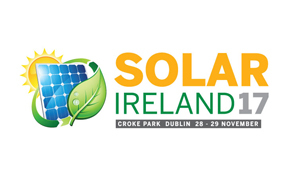 NEW YORK, NEW YORK – November 15, 2017 – GameChange Solar today announced that the company will attend the Solar Ireland 2017 trade show from November 28-29 in Dublin, Ireland. Ireland will need considerably more electricity generation with several peat and coal generation facilities scheduled to be decommissioned and several large data centers expected to come on line. The solar capacity to be installed is projected to total 3 – 5 GW from 2019 through 2025 as the country substantially increases its electricity generation from renewables. Regus Pembroke House 28-32 Upper Pembroke St.